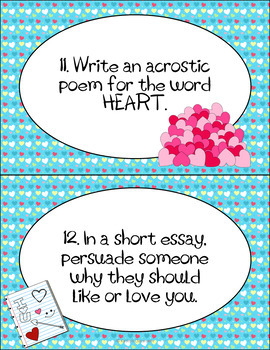 Valentine's Day Activity!! 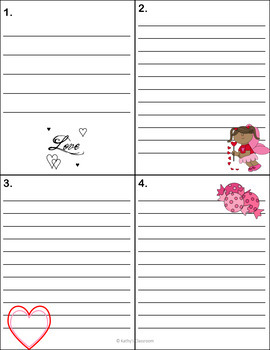 Fun and engaging Writing Task Card Activities for the season of love! 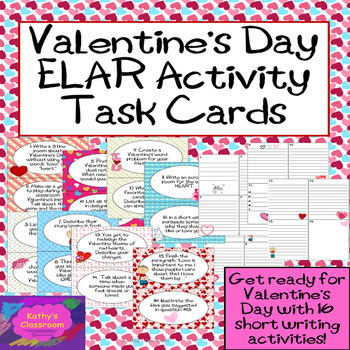 During February, continue to encourage your student’s writing skills with these fun-to-answer task cards. The fun questions let the students get creative and enjoy writing! •Are easy to cut and organize! •Encourage students to get as creative as possible! ♦Make multiple copies of the set and have students complete the activity in groups. Then students can share their answers for great practice of listening and speaking skills! ♦Have fun and create a contest to see who can come up with the most creative answer to a specific card. 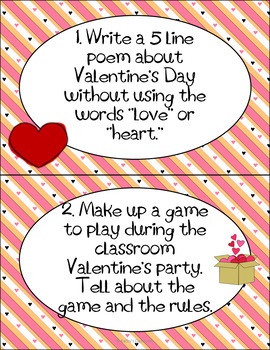 ♦Have the students create a small Valentine's Day or "love" booklet to take home and share. They can color the pages and bind them together as a task to complete after they finish classwork. Use these 50 Growth Mindset messages to start your day in the classroom. Perfect bell ringer activity to engage your students. Original sayings, not famous quotations.